The best venue for expert door opener advice and tips. Well- arranged for easy garage door maintenance discernment. It is the easiest task when you do garage door maintenance but it is also a tricky one. 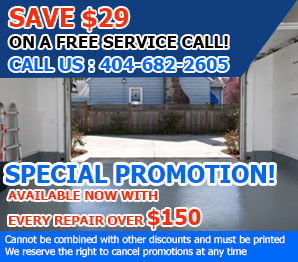 It is so easy that most people forget about it according to the statistics of Garage Door Repair Atlanta and they end up locked out of their garages. You must keep some batteries both in the garage and in the car. They usually take simple ones and change easily by pulling open the little cover at the back. The r-value shows the level of garage door insulation. The higher the number, the higher the insulation! Your garage will have excellent temperatures and the insulation of the whole house will be affected and, therefore, you will stop spending much on energy. There are different levels of insulation efficiency starting from low r-4 to high r-18. Depending on local temperatures, choose the best possible. What parts of the garage must I measure for a new door? Measure the width, height and the distance between the wall and the side part of the opening. Our experts in Atlanta suggest measuring the depth of the ceiling, where the opener would mount, and the distance over the door to the ceiling. Why isn’t my garage door opener working? Garage door openers may be on the fritz if they have been exposed to any form of liquid. If this is the case, treat it like a cell phone and put the opener in dry rice for a few days. Conversely, your garage door opener’s batteries may have died, so be sure to try and replace them before taking any drastic measures.